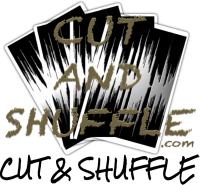 Your One Stop Location To Download Exclusive CUT & SHUFFLE Goodies..
FREE - Music, DJ Mixes, MashUps, Live Performances, Videos, Remixes, DJ Kits / DJ Tools & Much More !! NOT A CLUB MEMBER ? Tours / Events New Releases Both Of The Above (Tours / Events & New Releases) Nothing Just Give Me The Code !! *Your Updated Access Code Will Appear On Screen Once You Submit The Form. Take Note Of Your Code For Quicker Access To The Free Downloads Page On Your Next Visit. "EXPLODING MIND" & "SUMMER VIBES"